After many years of troubled times, German band Cruizzen makes their comeback with a new, and second album, Free Ride, now signed to Pure Rock Records. And I'll make this review simple from the start. It's the same angle that Rhino Bucket and Airbourne have gone for. 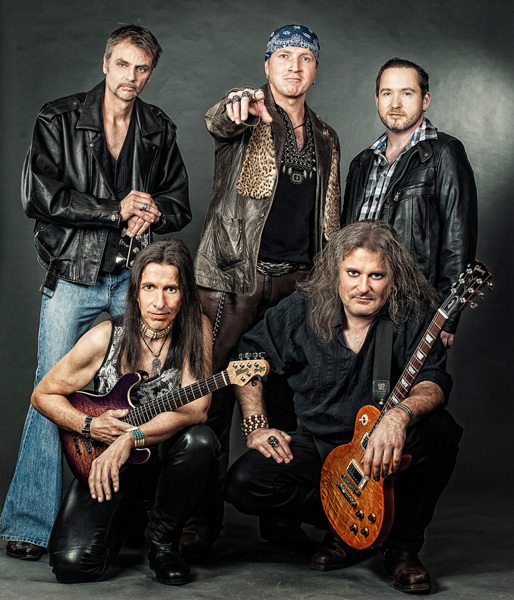 Mostly it comes from vocalist Alexander Mayer's Bon Scott sounding voice, followed by much of the guitar riffage. What's lacking is AC/DC's ever present rock 'n' boogie groove. Perhaps 'lacking' is not the best word. Better may be subdued. Most of the songs have this moderate grinding pace which makes you wish they would chug some Red Bull to get the groove started. Sometimes this heavy grinding pace can be torturous as with Touch of Evil, where I couldn't wait for the song to end. Unfortunately, that's how I felt about this entire album. By the time I got Trouble and It's Over, appropriately, I gave up. Free Ride is not without it's highlights. There are some nice guitar solos, here and there, and the rhythm section seems appropriately thick for their style of music. Frankly, in the end, I wasn't all that interested or entertained. Even with an attempt at a second listen, I didn't get any further than the first. 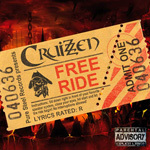 Thanks to the vocalist, riffage, and pace, Cruizzen sounds like AC/DC and, basically, that's all you need to know.